GOAL: The Cowgirl rides at breakneck speed in a cloverleaf pattern around three barrels faster than the competition. SCORING/TIMING: The Cowgirl is timed from the moment her horse crosses in front of the timer until she crosses the line again on her way back to the gate. DISQUALIFICATIONS/PENALTIES: The three-barrel cloverleaf pattern may be run to the left or right but if the horse breaks it in any other way the rider is disqualified. If any barrels are knocked over, five seconds per barrel are added. 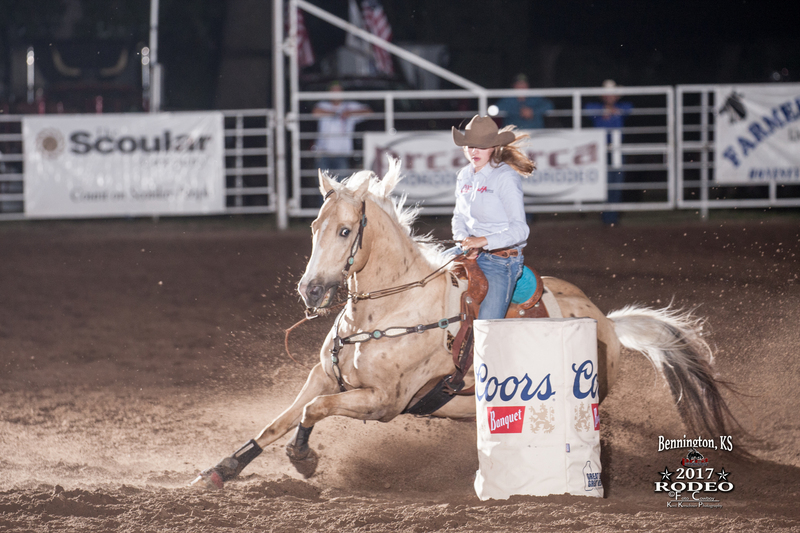 EQUIPMENT: Barrel racers may use any breed of horse and choose any type of saddle they wish. THINGS TO WATCH: The horse should make tight circles around the barrels and should turn as smoothly as possible without slowing down. The rider usually clings as closely to the horses back as possible, guiding the well-trained animal with her body and legs more than the rein.